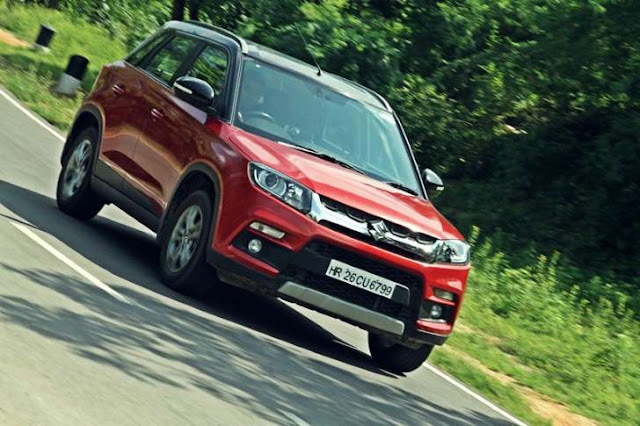 Maruti Vitara Brezza is currently the bestselling SUV in India. This sub-four metre SUV has changed the fortunes of Maruti in the segment of compact SUVs in our market. It is currently facing competition only from the Ford Ecosport. However, other manufacturers have already seen huge potential in this segment and they are already working on their respective products to compete with the Brezza. This includes Hyundai and Tata which are well aware of the Indian market and, surprisingly, Jeep is also in the race now. Will all these be able to shake the strong foothold of the Brezza in our market? Lets find out. All of these vehicles will be less than four metres in length. The Brezza measures 3995mm and 1790mm in length and width respectively with a ground clearance of 198mm. Apart from the high ground clearance, the height of 1640mm also adds to the proper SUV stance of this vehicle. The Brezza comes standard with 15-inch wheels and rides on 16-inch wheels in its top variant while it has a wheelbase of 2500mm. The butch SUV styling along with optional dual tone colours is one of the biggest advantages of the Brezza. 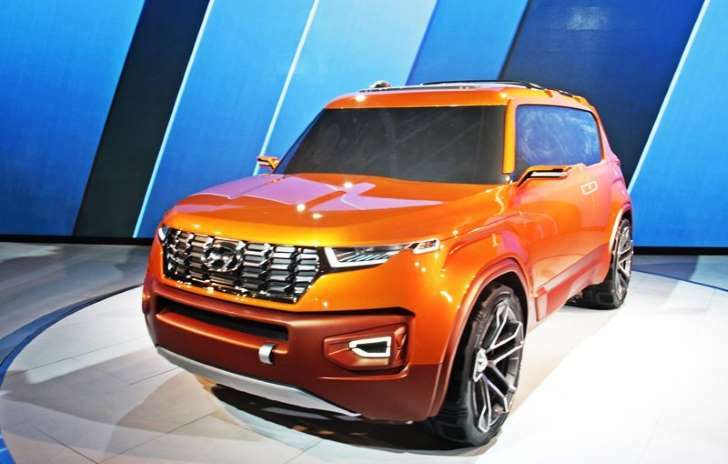 The overall square design helps it look bigger than its actual size and that is almost the similar pattern which will be followed by Hyundai with their upcoming SUV, the Carlino. Unlike any other Hyundai vehicle, the Carlino concept was devoid any kind of fluidic design was square-shaped for more road presence. It will be a completely new product which may share some parts with the Elite i20 but, the overall styling will help Hyundai to place this product right in between the i20 and Creta. Tata will be the first new competitor of the Brezza as they will the launch Nexon early next year. The Nexon will ride higher than the Brezza and, unlike the Brezza and Carlino, the Nexon will have a flowing design. 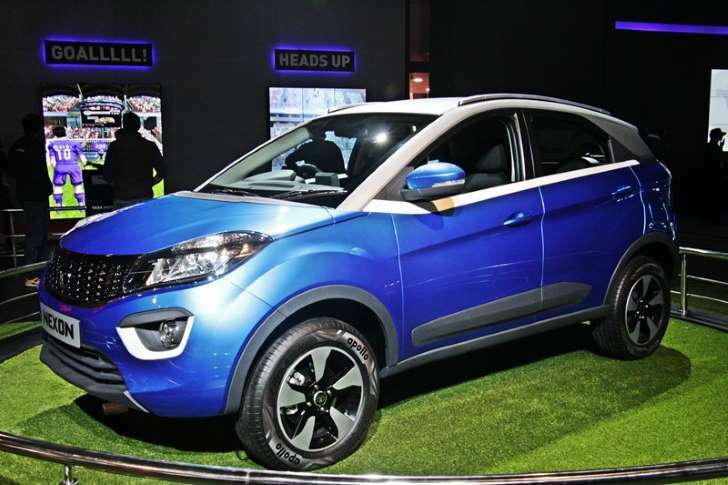 The Nexon is based on the new-gen design theme of Tata which gives this SUV a more crossover-like look. The sloping roof line and wide presence of the Nexon will surely make it one of the biggest head turners in this segment. 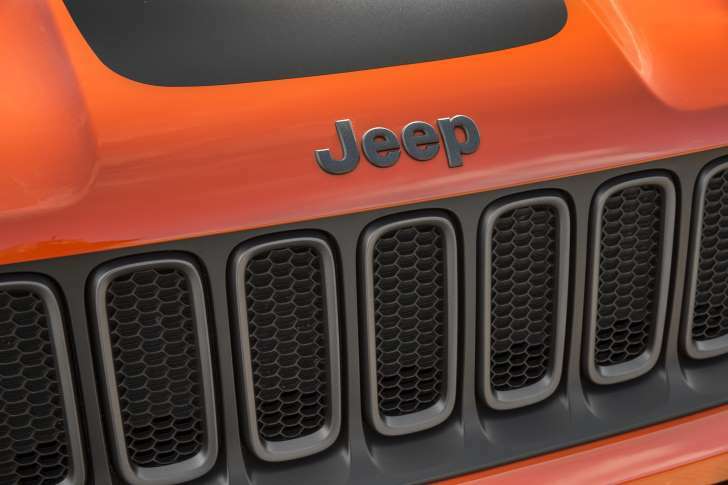 Jeep has also recently confirmed that they are working on a brand new product which will be exclusively made in India with typical Jeep styling and off-road characteristics. This in fact could be the first SUV in its class to be offered with a 4WD layout. The styling elements could be similar to that of the Renegade with typical round shaped headlamps at front with Jeep grille in between. The boxy shape and tall stance will give this SUV a very appealing design and good road presence. All new vehicles are expected to be built from top quality materials, especially on the inside to give them an advantage over the Brezza, which already has well built interiors with premium comfort and safety features. One thing to be noticed is that the Brezza also offers the most legroom , and this will be a challenge for all. The comfortable front seats and the long wheelbase of the Brezza makes sure it offers good amount of leg and knee room for all passengers. All of these vehicles will be offered with features such as electric power steering, power windows, projector headlamps, automatic climate control, MID, keyless entry with push button start/stop, front fog lamps, electrically adjustable and foldable ORVMs, rear parking sensors with camera, touchscreen audio system with Bluetooth connectivity, navigation system and steering mounted controls, front fog lamps, rear wiper, alloy wheels, front and rear centre armrest, ABS and front dual airbags. Apart from these, it is to be seen if new rivals can offer something more than Brezza to add more value for your money. The Brezza is currently only available with a diesel engine which is the tried and tested, Fiat sourced, 1.3L, Multijet diesel engine which churns out a peak power and torque output of 89 bhp and 200Nm@2000rpm respectively. The Brezza comes only with a 5-speed manual gearbox. The Hyundai Carlino is likely to share its engine line-up with the Elite i20 which includes two 1.4L engines; one engine each of petrol and diesel. It may offer a 1.4L, 99bhp petrol engine with a 5-speed manual and 4-speed automatic gearboxes while the 1.4L, 89bhp diesel would have a 6-speed gearbox. The Tata Nexon will debut with brand new engines which includes a 1.5L, 110bhp diesel engine to be available with a 5-speed manual gearbox only while it may also have a 1.2L turbocharged petrol unit offering 110bhp along with a 6-speed manual and AMT gearbox. With these set of engines, the Nexon will become the most powerful SUV in this segment while it is still unknown what will be the engine line-up in the upcoming affordable Jeep SUV. 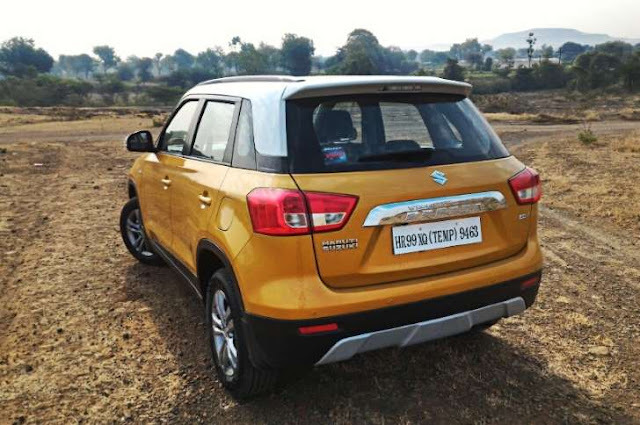 The Vitara Brezza is enjoying its monopoly as of now and is undoubtedly the king of this segment thanks to its typical SUV looks, spacious and feature rich interiors, fuel efficient diesel engine and most importantly, the strong after-sales network of Maruti which is keeping the vehicle high in demand in our market. But this demand is keeping customers on long waiting periods. All of the upcoming rivals are well thought out products and they will obviously have some features, styling elements or some other USPs over the Brezza to make them the more appealing choice in this segment. However, the biggest question remains that how many of these new rivals will be able to beat the pricing of the Brezza, which is undoubtedly the biggest reason behind its immense popularity. If any of them can undercut or even come close to the pricing of Brezza, and offer more features or other USPs on top of that, then they may stand a good chance of becoming the new king in this segment of our car market. 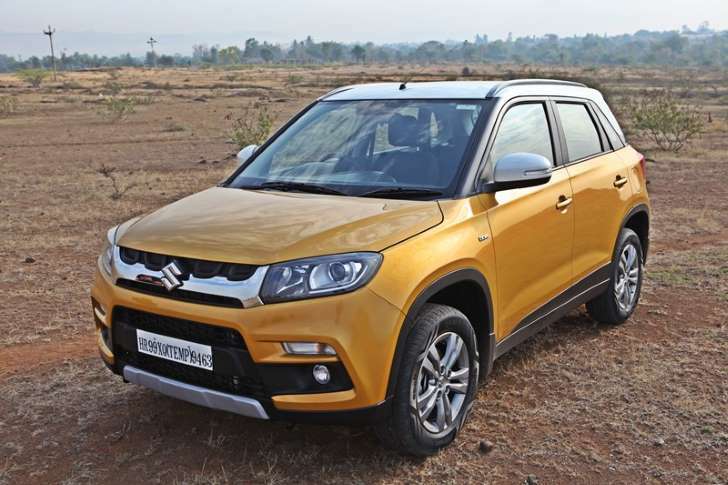 1 Response to "Upcoming Maruti Brezza rivals from Tata, Jeep and Hyundai"